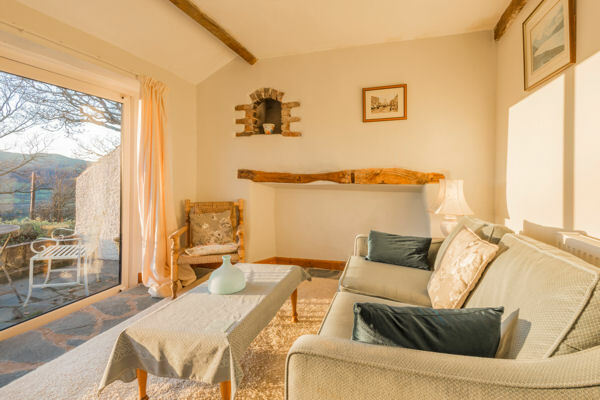 Little Swinside Cottage was converted from the original barn and has lovely oak beams. 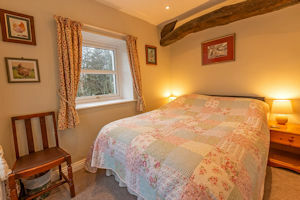 Most of the accommodation is upstairs - the double bedroom, sitting/dining room with a log burner, kitchen, and bathroom. Downstairs a patio room has exceptional views down the Lorton valley and French windows that lead onto a small terrace with table and chairs. The patio room also has a sofa bed that can be used for children or another adult (for a small extra cost). 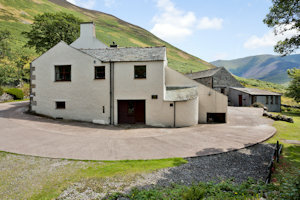 For large groups Little Swinside can be let with the Farmhouse next door; the two are connected via a lockable door. See below for photos, more detail, and availability. 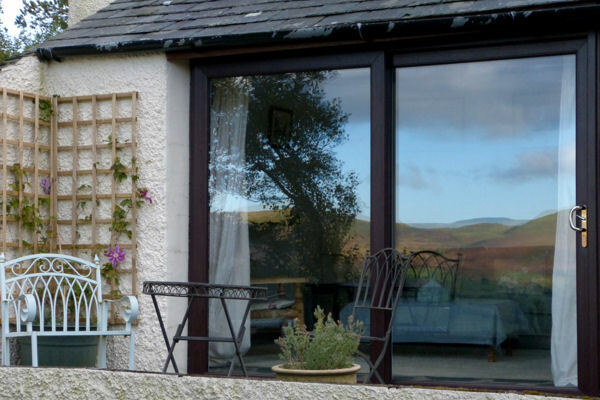 The downstairs patio room opens out through sliding patio doors onto its own small terrace overlooking the garden and the valley beyond. The views are magnificent. This room is centrally heated. It has a sofa bed and can be used as an extra bedroom for children or another adult (for a small extra charge). The double bedroom is 'small but perfectly formed' and has a lovely view out over the Lorton valley. 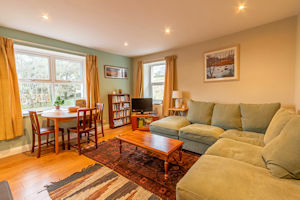 The cosy sitting/dining room is furnished with a large corner sofa, dining table, and a TV with DVD.There are also lots of books, maps, and games that you are welcome to use. 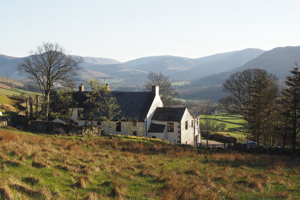 The room looks north and east towards Scotland and the Lorton Fells. There are often sheep grazing immediately behind the cottage. The sitting room has a log burner for those autumn, winter, and spring evenings - or anytime you want a little more warmth! 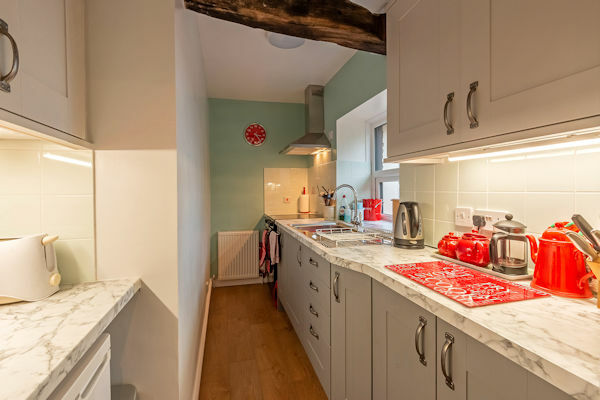 To the right of the log burner is the door to the kitchen. A door leads from the sitting room into the galley kitchen. The kitchen has recently been completely upgraded. It is well-equipped with an electric cooker, microwave, slow cooker, food processor, fridge, and all the pots, pans & utensils you could need. 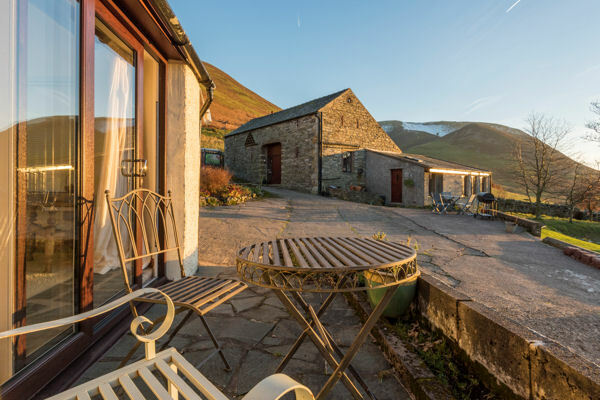 Additionally there are laundry facilities in the basement below the cottage, and a large chest freezer for guests to use, accessible from the exterior. The bathroom next to the bedroom has been newly upgraded. 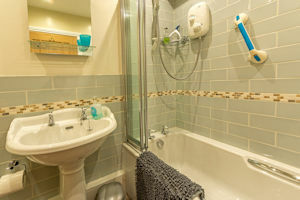 It has a shower over the bath. This is the view from the patio looking south east towards Whiteside - in winter. 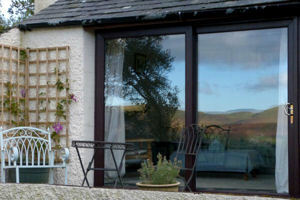 Little Swinside patio showing a reflection of the view across the valley. The garden is shared with the Farmhouse and High Swinside Cottage. It has a picnic table and benches for enjoying the view, hammocks under the trees, a pond with tadpoles, a tree house and camp fire circle, and gated access onto the open fells with wonderful walks right on your doorstep. 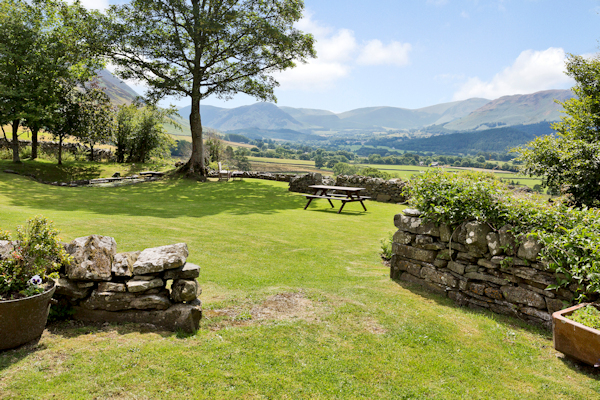 The garden also has an enclosed area where dogs are free to roam safely. In the lower garden there are free range hens - and their eggs are usually available. Through another gate a green lane leads in 20 minutes to Lorton village with its excellent village shop. The friendly dog-welcoming Wheatsheaf pub is 10/15 minutes further on and serves a very good menu! 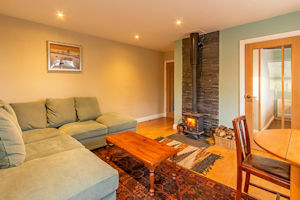 Little Swinside has central heating with radiators in all rooms. The water is heated by immersion heater (at night and by solar power when available in the day). There is extensive parking - including right next to the cottage for unloading. Click this button to book!